We live in a world where technology helps people carry on with their lives, no matter what. For example, when a person loses a limb, they replace it with prosthetics. And if we can help humans be whole again, why not help animals too? 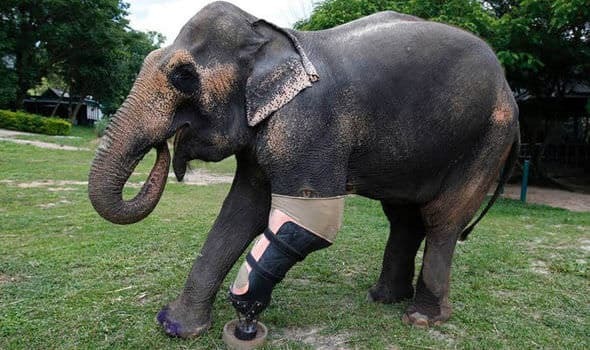 This is exactly what an orthopedist surgeon thought as he saw the greatest challenge of them all: creating prosthetics for elephants. Mosha’s sad story began with a regular walk that led her and Motala to the Burmese border, which was filled with old landmines. She was only seven months old when she was injured. 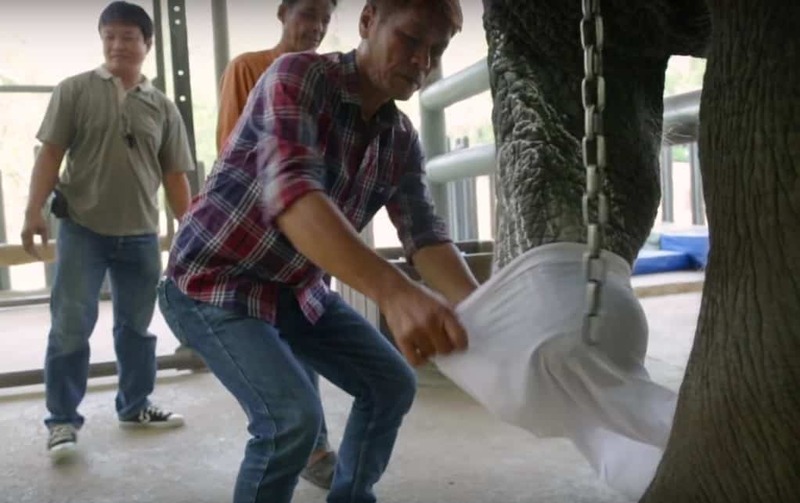 Rescuers helped them… and then the most amazing thing happened. Her right front leg was severely injured, and the vets had to amputate it under the knee. But she wouldn’t stay in the wild, as the Friends of the Asian Elephant Hospital took her and Motala in and made them permanent residents. 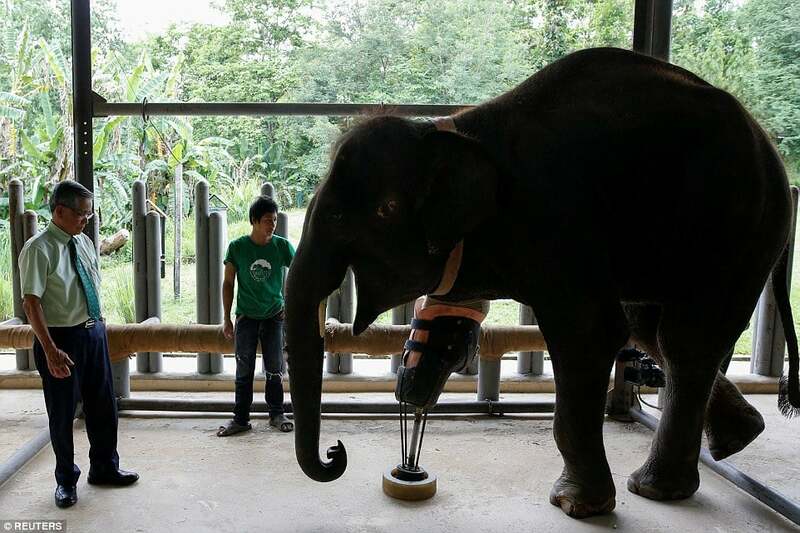 Donations, sponsors, and devoted people led to the creation of a solution for Mosha and Motala to walk again. 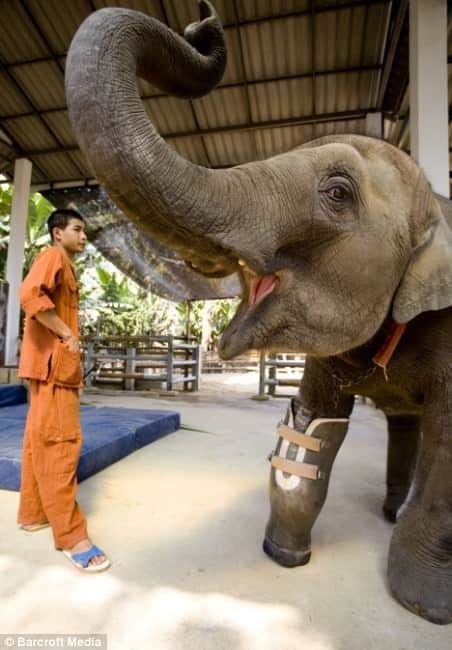 They would be the first elephants to receive a prosthetic leg that they could use to walk around on their own! 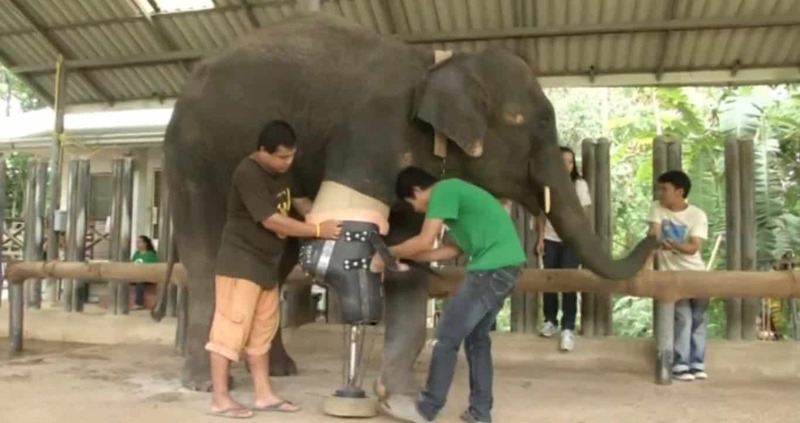 It took a lot of time for Dr. Jivicate to design and build a prosthetic leg that would also be functional for the huge mammal. The first prototype was finished eight years ago, being the first device of its kind! 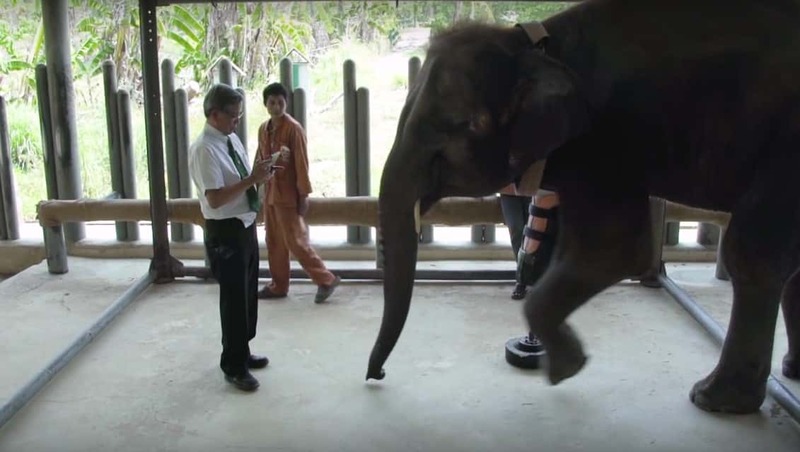 The doctor explained why his work was vital for this elephant: ‘The way she walked was unbalanced and her spine was going to bend. 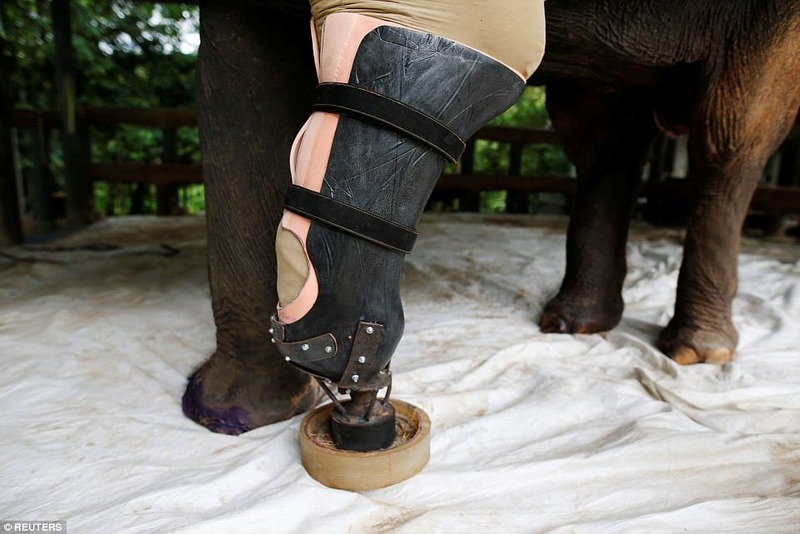 She would have died.’ This motivated him to create the first prosthetic limb for an elephant. 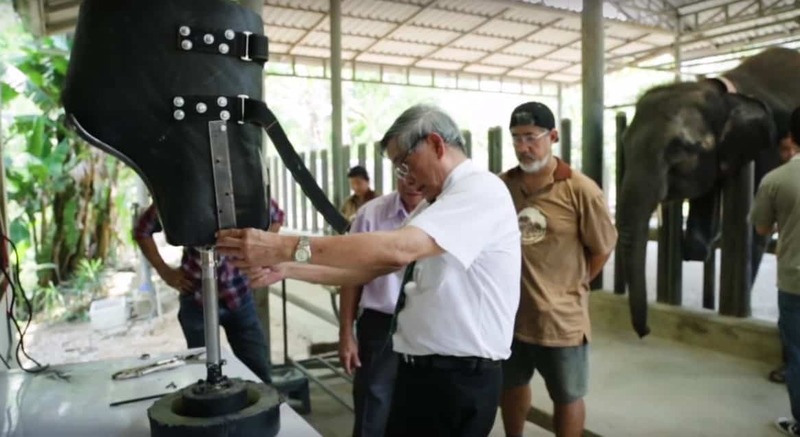 The doctor faced many challenges, as the size of the prosthetic leg posed many difficulties. He had to make a comfortable socket for Mosha’s stump and it also had to properly align with the foot so that Mosha could walk on it. 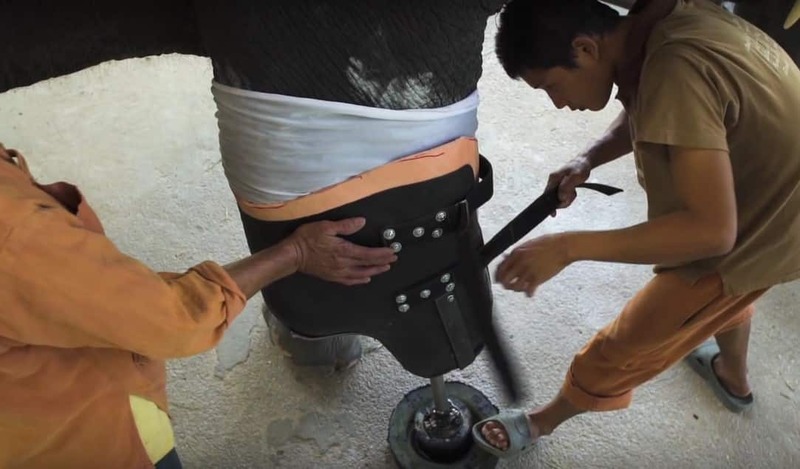 You won’t imagine how many people struggled to build Mosha a leg: Jivacate had his own team and the vets at the Friends of the Asian Elephant hospital also supported him. 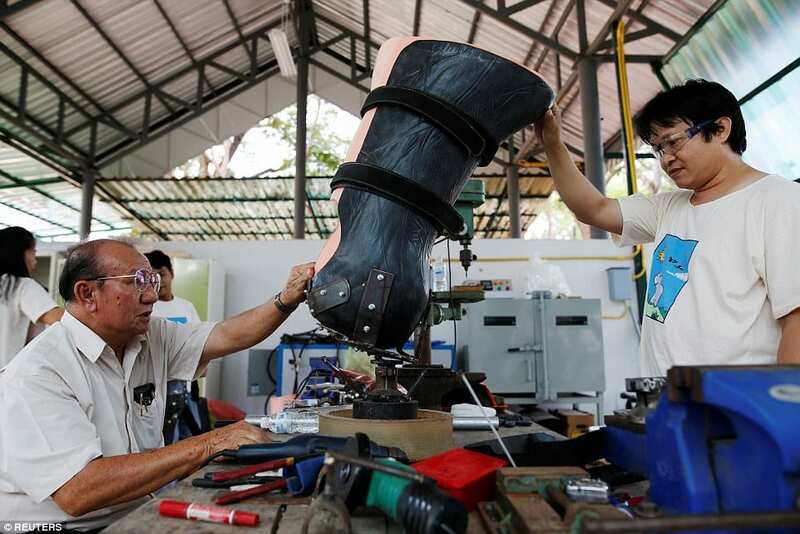 And they finally built the first prosthetic leg! 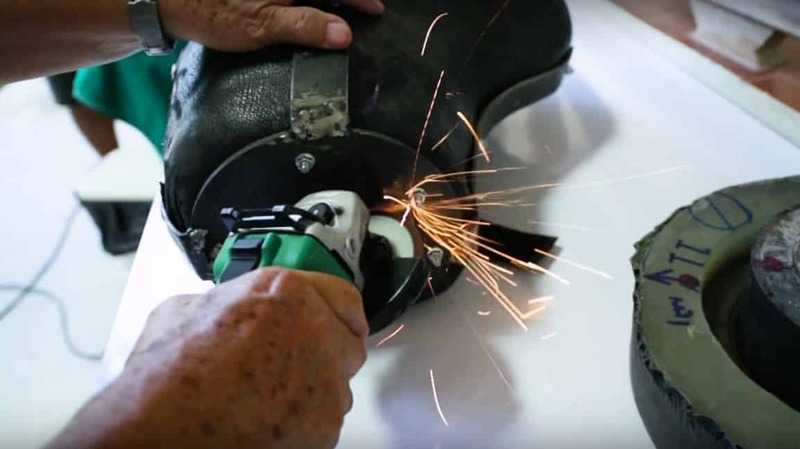 Given the fact that it was the first prosthetic of such a great size, Jivacate could only create one through trial and error until they succeeded in building one that functioned well. You won’t believe how heavy it was! 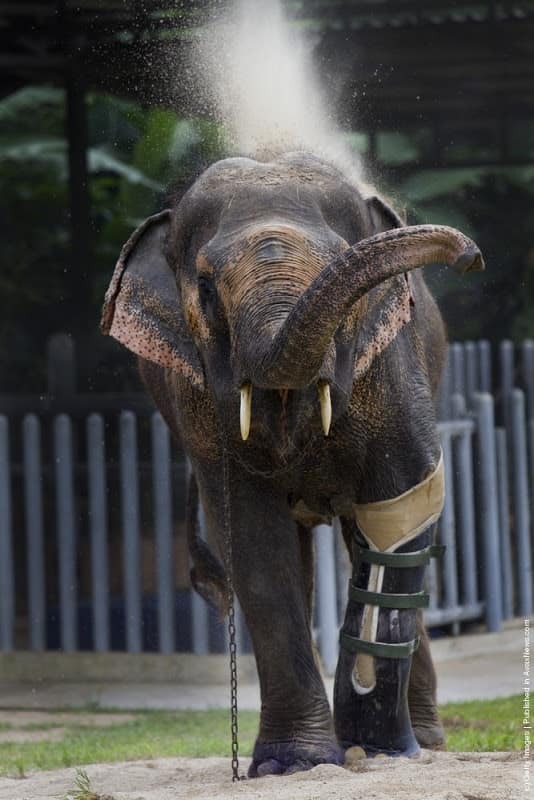 Jivacate knew his job just began, seeing that the elephant wasn’t in pain while using the prosthetic leg to walk. She took 12 hours to learn to walk with it, but once she got used to it, she was unstoppable! 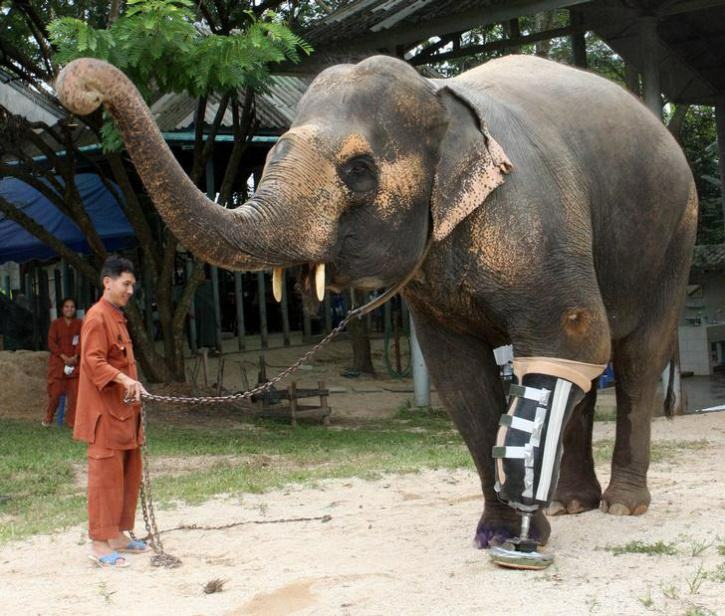 Then, Motola received her prosthetic leg too! Mosha was accustomed to having a different leg. While she had to wait for a new one, she would lean against the pen or rest her front legs by climbing on some bars. It was like looking at a person resting their arms on a table! 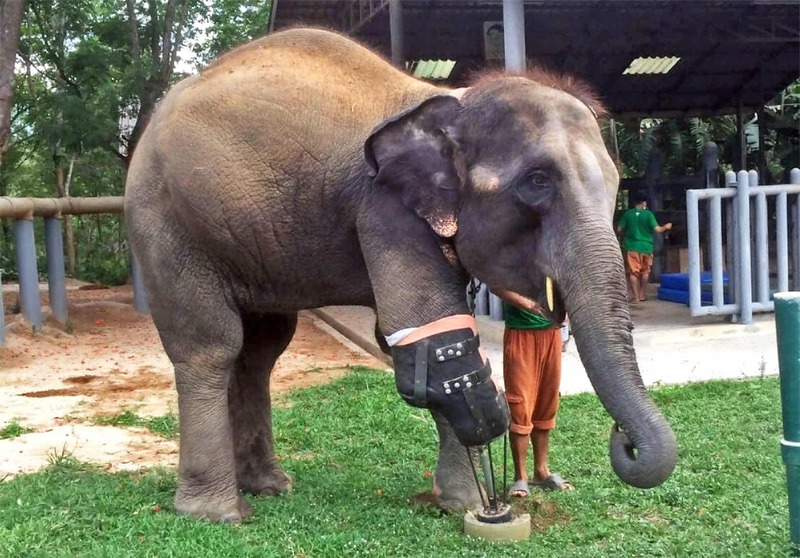 Jivacate created nine prosthetics for Mosha while she grew in size. He said that his job was to give Mosha a leg, even though ‘animals don’t ask that we make legs for them.’ And Mosha is forever grateful! 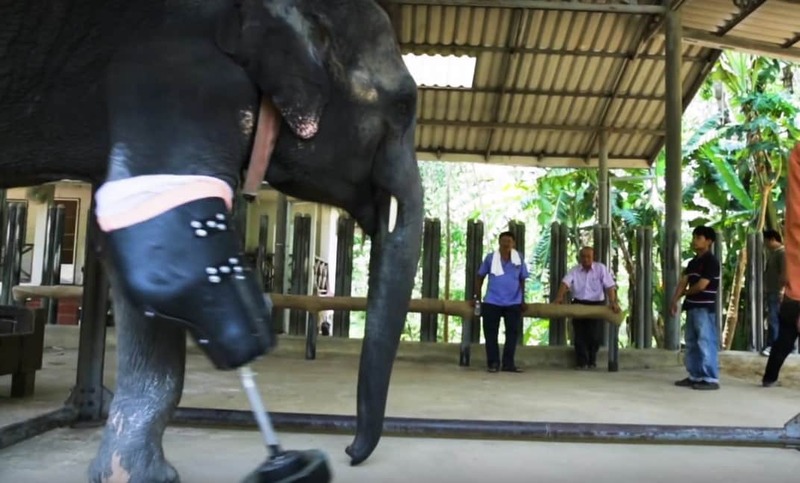 ‘I think she knows that I make her prosthetic legs as each time I come to the elephant hospital she makes a little salute by raising her trunk in the air,’ said Dr. Jivacate. It’s so great to see that Mosha has received the special help she needed to survive. Looking at how happy she is, we know this amazing elephant will never forget her friends. Thanks to the foundation, Mosha and Motola have a place to recover and live in harmony! 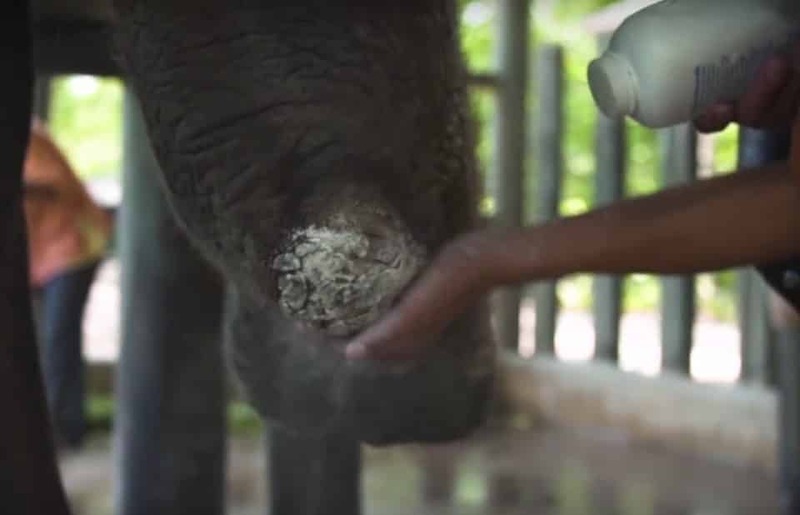 Dr. Jivacate and his team’s work has been vital for the wellbeing of these two elephants and for others that may need such prosthetics.